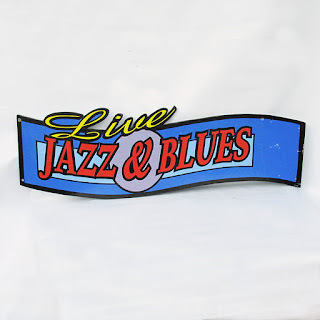 Vintage signs have always made for fun wall art for the eclectic decor. They are usually colorful and often bring back fond memories from the past. 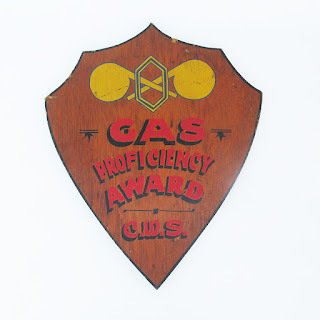 Old metal advertising signs always look great hanging on a wall, however, due to popular TV shows like American Pickers, it is getting much harder to find vintage metal advertising signs at a reasonable price. Reproductions have also flooded the market so those one-of-kind finds are very rare as well. 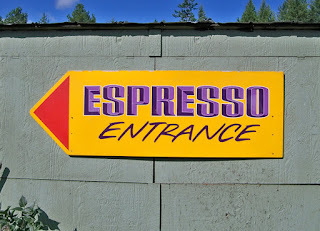 If you want a unique look, keep your eye out for "one-off" retired handmade made signs from local businesses. Often times they are made of plywood and hand painted. Find one with some character (a few nicks and scratches) and you've got a piece that nobody else will have. 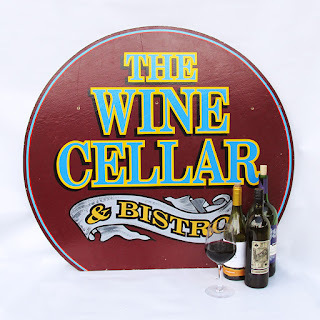 Look for signs that will make a statement for instance, an old restaurant sign adds a fun bit or whimsy to a kitchen or dining room. 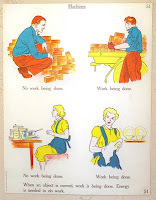 We've recently listed on The Leaping Lemming as well as our other shop, Coffeetropolis several home-grown vintage advertising signs that will be sure strike up a conversation by visitors at your home. Take a Flying Leap into Leaping Lemming! 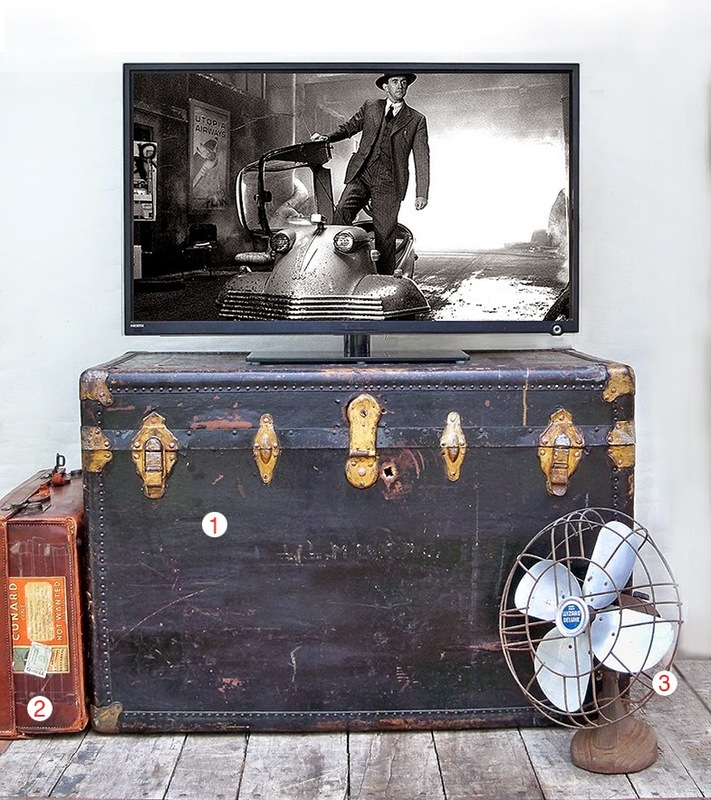 We've created a new blog called "The Retro Eye" where you will find photo vignettes (like the photo below) of our favorite collections of vintage items. The items in the photo are numbered and are keyed to links below the photo so you click to see the actual product listing. Take a look at The Retro Eye and let us know what you think. If you have a vintage store and are interested in adding a vignette to The Retro Eye, drop us an email and we will discuss with you. If you grew up in the sixties and seventies, you probably remember these science lesson charts that your elementary school teacher used to illustrate scientific principals. The Lemming got his hands on a collection of wonderful 18.5" X 24" posters published by A. J. Nystrom & Co. back in 1963. They feature all kinds of cool, kitschy art from the early 60's. Topics illustrated include: machinery, seasons, conservation, animal life, plant life, basic physics just to name a few. The colorful prints are in very good condition and suitable for framing. 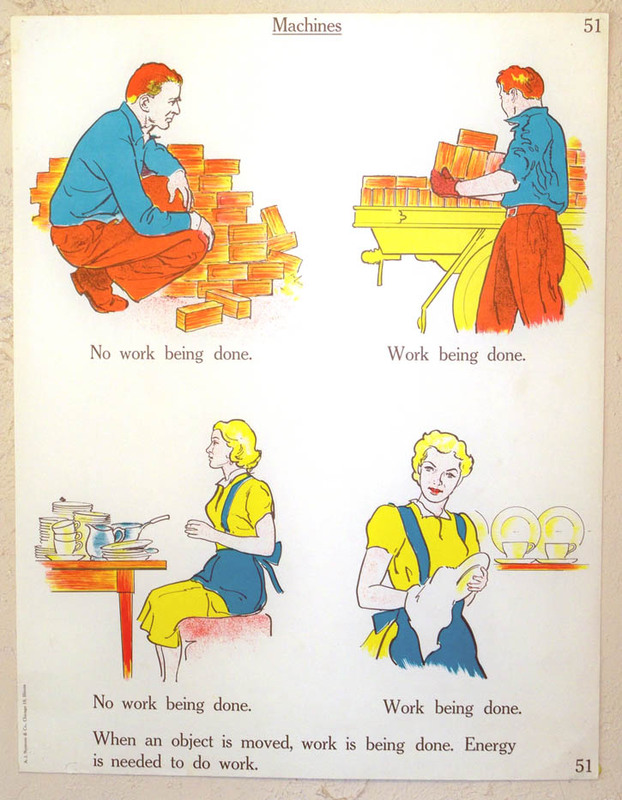 We think these fun posters make great wall art for a child's bedroom, playroom, classroom or for a teacher or retired educator. 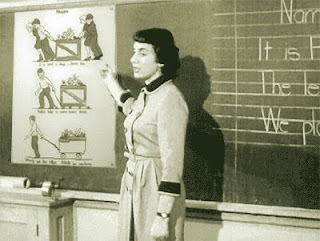 Click on this link: Vintage School Charts to see them. We will be adding more all the time so visit often. Leaping Lemm ing is offering FREE SHIPPING on each additional poster when two or more are ordered at the same time. So you only pay shipping on one and the rest ship free. Note your shipping charge will be refunded back to you through PayPal after checkout. Are you tired of shopping the big box stores and finding the same old same old that everybody else is wearing? Well the Lemming feels your pain man! That is why he has searched the world over to find vintage military surplus clothing and accessory items which can easily be re-purposed into one-of-a-kind fashion items. Why military surplus you ask? 1) You get a lot of bang for your buck. Most military items are manufactured under strict quality controls as they often have to hold up under battle conditions so they use higher quality fabrics and materials. You can get them cheaper than you could for a comparable item at a regular retail store. And since they are not mass-marketed, odds are you won't run into someone wearing the exact same item. Also, countries keep large stock piles of uniforms and gear that sit in storage for many years, sometimes never being issued and when they update their look, they will release them for sale, so sometimes you can get never been worn cloths pretty cheap. 2) Military uniforms offer classical fashion styling. A lot of modern western fashion is based on military influenced designs. For instance the necktie attributes its origins to the early Roman soldier who wore scarves that they could soak in water to keep them cool. 3) Military Function and Utility = Funky. Military clothing and equipment designers have to solve various problems encountered by the soldier in the field so you get some amazingly cool pockets and flaps that make the items very unique. At LeapingLemming.com you'll find a nice selection of vintage military surplus items. 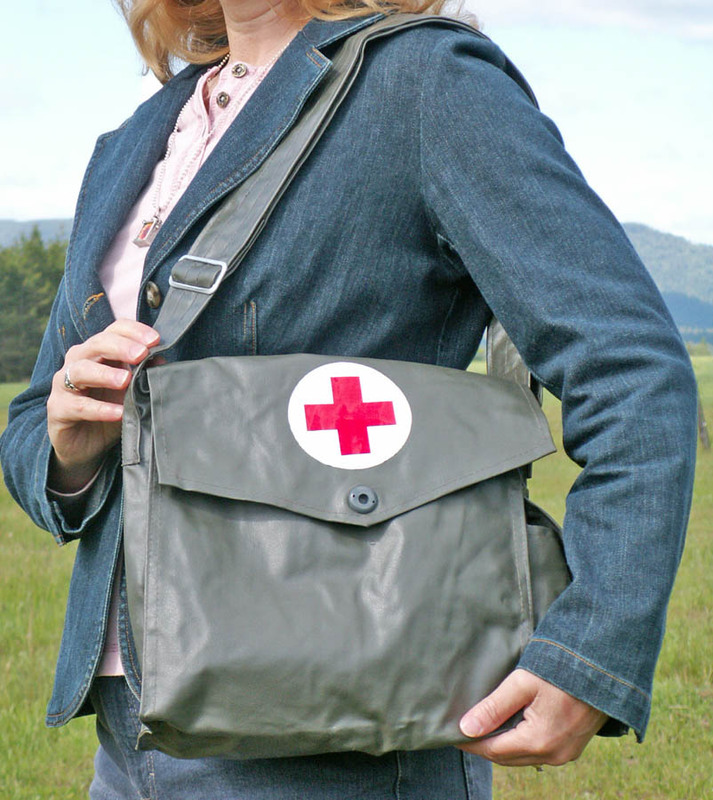 Take for example the nifty East German Medic Bags that make really cool shoulder bags or would make for the perfect diaper bag as it is made of heavy vinyl with various pockets and sections. 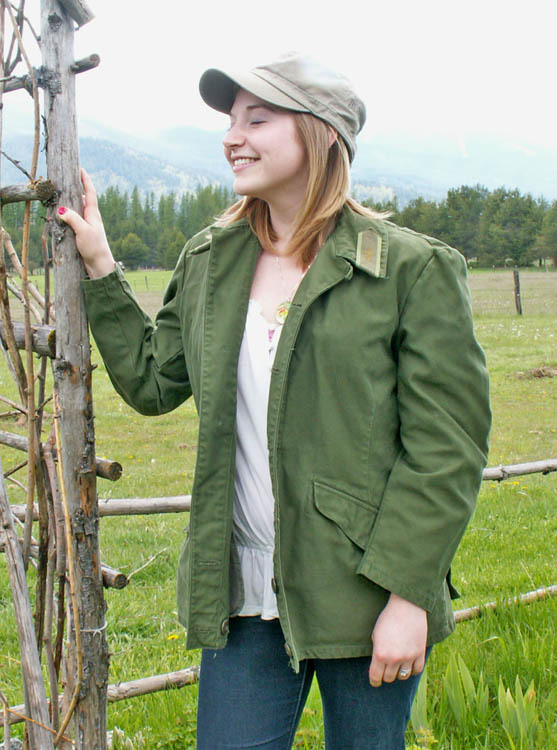 At LeapingLemming.com You'll also find some comfy army jackets great for urban or rural living. Who Knew Irons Could Be So Cool? If you have caught the vintage bug, it won't take long for you to begin to see and appreciate the sublime design found in everyday items of yesteryear. Back in the early to mid 20th century there was a renaissance in industrial design. You will see it on everything from architecture, to motor vehicles, down to the items of everyday use including the lowly clothes iron. Appliance companies spared no expense in designing and producing these little pieces of art. They featured the quintessential streamlined Art Deco style that became the norm during this time period. We recently came across a book called "Streamlined Irons" by Jay Raymond (www.streamlinedirons) which chronicles the exquisitely designed irons from the 1930's and 1940's. The book features 300 beautiful color photography and 196 pages of extensive information on irons produced during this period as well as earlier in the century. 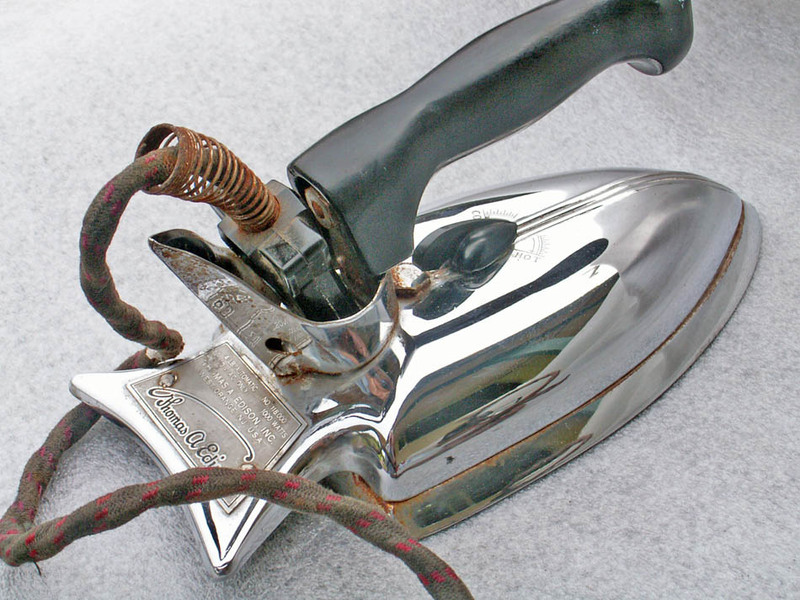 Surprisingly, it is not uncommon to find vintage irons that still work today as they were made to last with the use of high quality materials. Most are quite heavy compared to today's irons so they make great bookends or doorstops. But you can simply display them on a shelf as their designs stand by themselves. 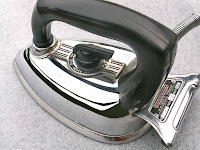 We have come across a few of these vintage irons and have offered several for sale at LeapingLemming.com. Check them out and take time to appreciate the beauty in the detail--something that is quite rare in product design today. This company has to be the most fun on Etsy. They have a delicious sense of humor - note their shop name - and a fantastic imagination - note their product descriptions. I received my lamps with no less than a printed receipt, a lovely story about the lamps, not to mention the fantastic lamps themselves. "Let there be light." I read the story about Evelyn Meagermeyer and her husband Edward to my husband, who is originally from south of Chicago, and he laughed so hard and then said "Go ahead and get them!" I am so thrilled you are parting with these lovely lamps. We are in escrow to buy a wonderful home that was custom built in the mid-1940's, but has many 1930's architectural attributes. These will look gorgeous in our "new" home. Thank you so much! This is an awesome vintage backpack, perfect for hauling all sorts of goodies! Service was great, no problems, item arrived very fast & packaged very nicely. I highly recommend this seller to others!! "Leaping Lemmings web site is chock-full of fabulous, fun, kitsch-cool vintage items at reasonable prices (& wonderful, warm customer service to boot)! I incorporated two Leaping Lemming vintage printer trays into my jewelry display at my Studio Segundo museum trunk show last week & countless people commented on how well the tray complemented the aesthetic of the artisan jewelry line. Many green-with-envy folks asked where I purchased the uber cool "Spaces & Quads" printer trays. Why, Leaping Lemming, of course!" Thank you so much. I am so glad you included the card with the story behind the item. That was a large part of the reason I purchased it. It is a gift for my friend who has been an electrician for 40 years. I am sure he will love. Also thanks for packing it so well and shipping it so quickly.